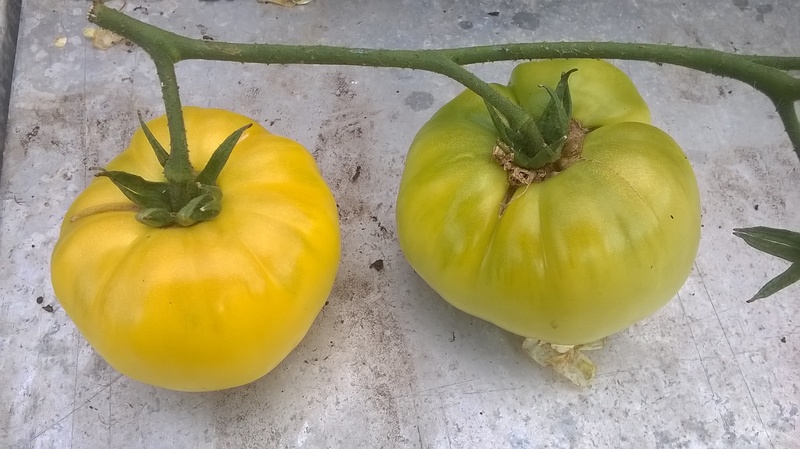 I know, I know, in my last post about Heirloom Tomatoes I declared my undying love for ‘Brandywine’ as my continued favourite (after growing it for the first time last year and confirming it this year), but then I encountered ‘Montserrat’. 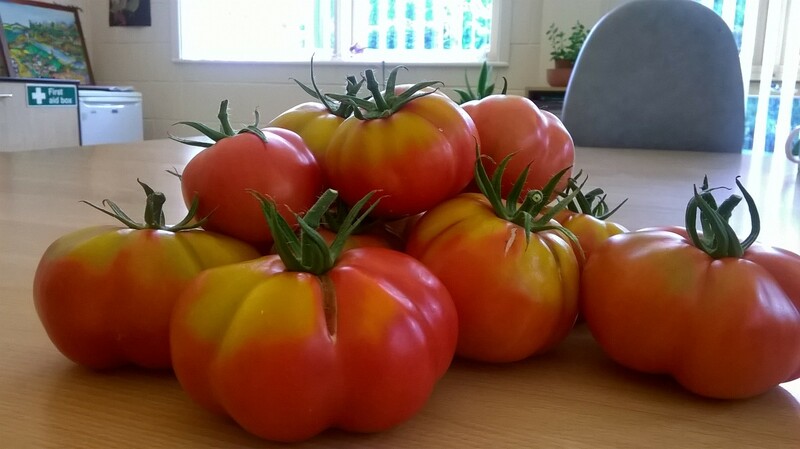 We grew this variety for the first time at South West Yorkshire’s NHS Horizon Centre Therapy Garden. must admit I knew nothing about it until it grew. The seeds were given to me, saved from their own crop, so I did not even have the seed packet to go on. 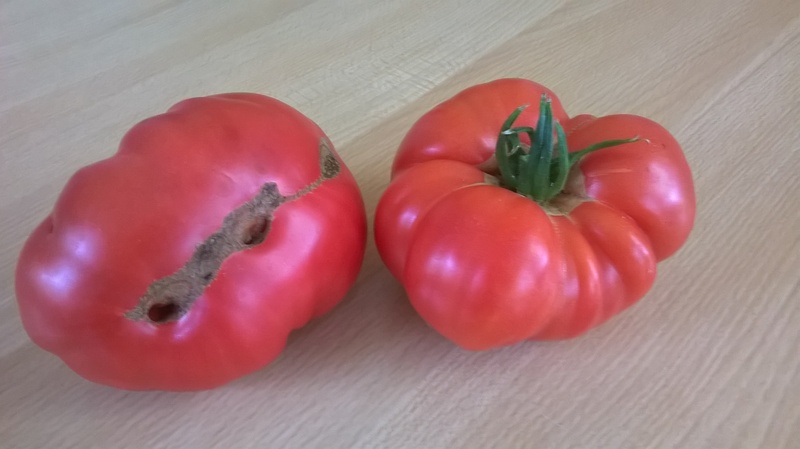 I was a little dubious when I cut it open when it resembled more of a pepper than a tomato. 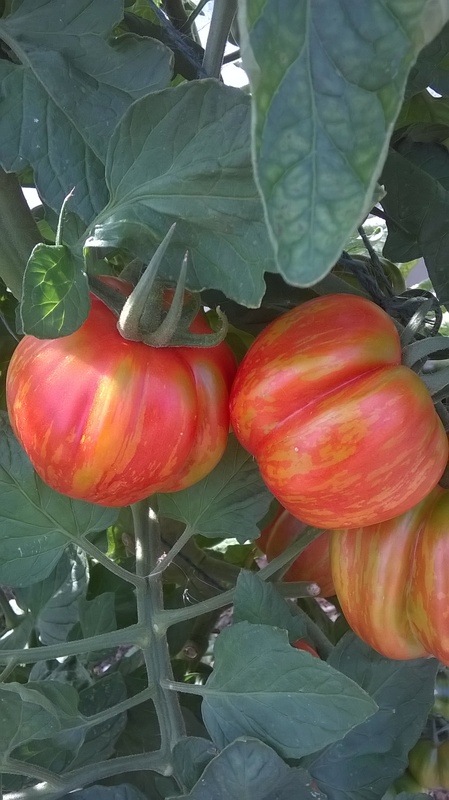 But the flavour, oh dear me the flavour, it is the sweetest large tomato I have ever encountered. It roasted really well in the oven and then I put it with some gnocchi. Traditionally everyone goes for ‘San Marzano’ as the pasta sauce tomato, but I have never had any great success with them. 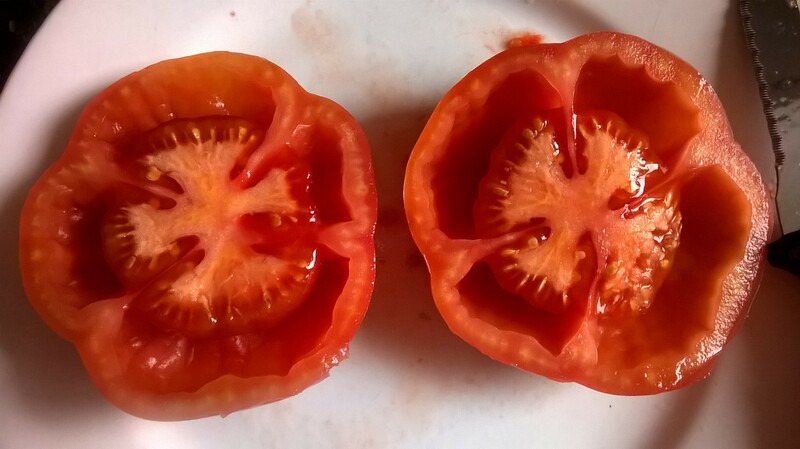 ‘Montserrat’ is the best pasta sauce tomato I have had. You wont pick up another jar of pasta sauce from supermarket.